Fashfest held annually in Canberra celebrated its fifth year over 3 days from 28th–30th September. It was a showcase of more than 50 designers with national and international labels that displayed their collections in either solo segments or curated group shows. 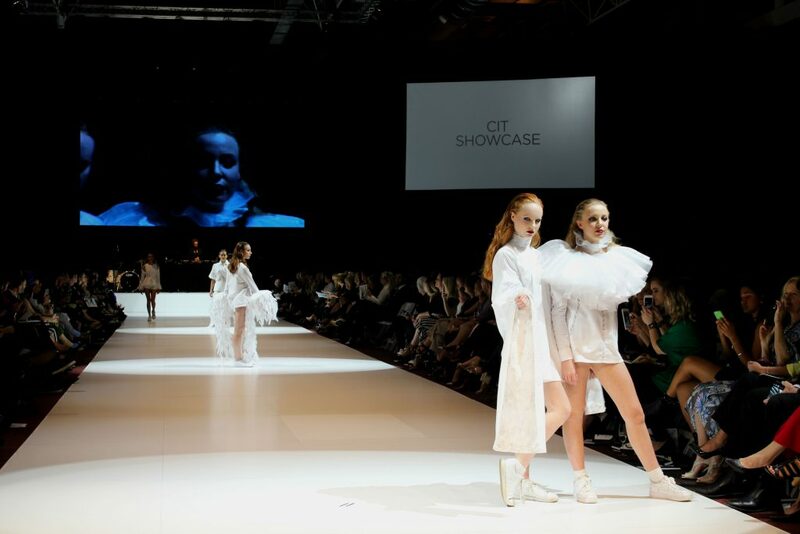 Included within the three days were not only runway shows but also beauty and make up shows, live music, short films and behind-the-scenes backstage tours providing a fashion experience like no other in Australia. The team behind this hugely successful event is Andrea and Clint Hutchinson. Andrea is a former model and co- founder of HAUS models. Clint a former MD of an advertising agency. Highlights of Fashfest included 18 year old designer Charly Thorn's Spring/Summer collection. Showcasing teal, blues, whites and tropical prints, this young designer has had a full schedule presenting at Vancouver Fashion week, returning to Canberra for Fashfest and then flying out to Los Angeles for LA Fashion Week. Thorn describes her style as high end resort wear, her inspiration for her collection coming from holidays with her family in the Whitsundays. Thorn grew up in Cooma, Snowy Mountains and one of her favourite fabrics to work with is Merino wool. She not only uses Merino wool but also, light silk chiffon and linen within her collection. She finds that many of her clients are surprised she uses wool in her resort designs. The Darwin Aboriginal Art Fair Foundation presented some vibrant pieces with printed textiles in both heavy and light fabrics, my favourite was certainly the rich red artwork outfit with bell sleeves. Nyne a NZ label showed various shapes and flowing straightforward pieces whos inspiration for this collection was Andy Warhol artwork series ''Portrait''. There were 12 Indigenous brands showcasing at this year’s Fashfest including Magpie Goose. Magpie Goose claims to connect non-Indigenous people with wearable art and culture and provides economic opportunities for remote Indigenous Australians. The prints are designed and manufactured by four remote communities in the Northern Territory and they each tell a story. Director of Music, Ashley Feraude organised 15 musical acts including the Samba 8 piece drum ensemble of Raio de Sol. Soulitude a R&B band made their debut with their distinctive urban groove. DJ’ Sandman turned out a fantastic set and the music of solo guitarist Ned Philpott was enjoyed by the crowds. Fashfest was vibrant and diversive celebrating everything from indigenous to innovation by immersing its audience in a once in a lifetime experience. It is no doubt making an impact on Australia’s fashion scene and bringing the capital city to the forefront of fashion, culture, art and music.